Drink filtered water on the go with the Fill & Go Vital from Brita, eliminating the need to buy bottled water therefore reducing plastic waste! The Fill & Go Vital filters your water as you drink it with the integrated activated carbon filter in a BPA-free reusable plastic bottle. 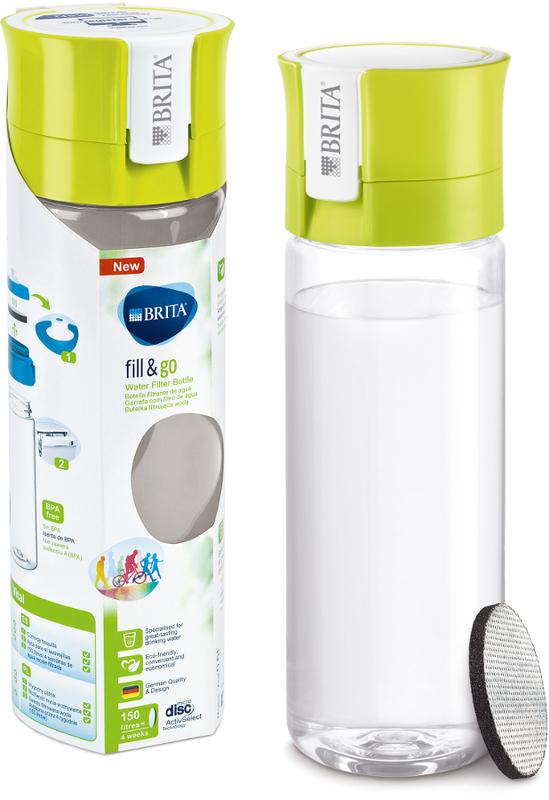 Simply insert the Brita MicroDisc filter every four weeks and fill up with tap water – then you’re ready to go! Available in four different colours and dishwasher safe. 1 Brita MicroDisc filter included. 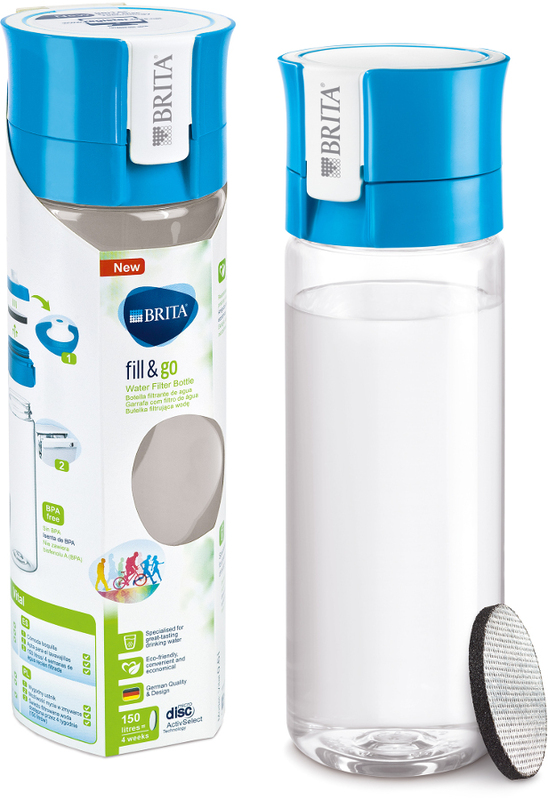 BRITA filters are recyclable, and can sent back to them using the BRITA Retail Recycling scheme across the UK. To find out where to do this near you, contact BRITACare on 0844 742 4800. 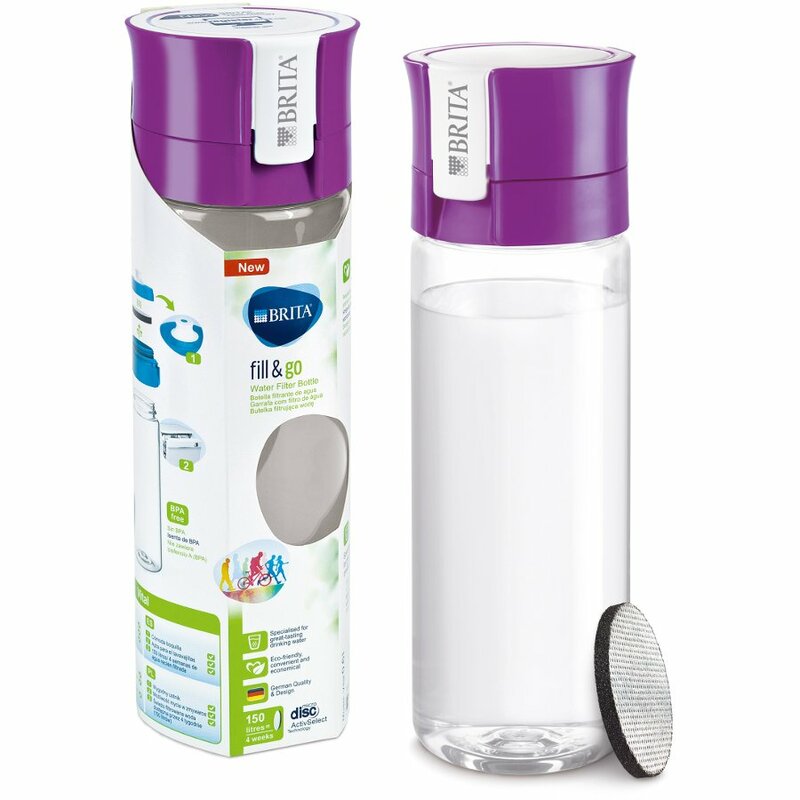 The Brita Fill & Go Vital Water Filter Bottle - 0.6L product ethics are indicated below. To learn more about these product ethics and to see related products, follow the links below. A really good idea. I find it a bit hard to open the top though to drink and I don't like sports top bottles, but will persevere. There are currently no questions to display about Brita Fill & Go Vital Water Filter Bottle - 0.6L. 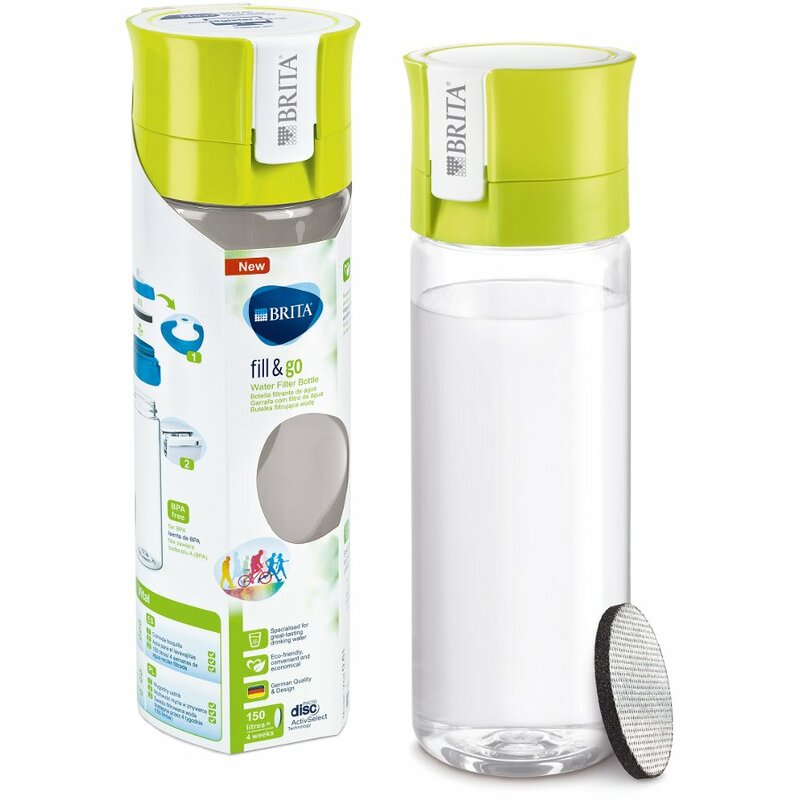 Brita develops, produces and sells innovative drinking water products based around their original water filtration system – a filter which absorbs chlorine, pesticides and organic pollutants, improves taste and eliminates odours and discolouration. On average, an adult should drink around two litres of water a day to keep hydrated. As water is so important for health and wellbeing, Brita prides itself on assisting the nation in becoming more health concious. Recycling is a priority for Brita; every Brita cartridge is recyclable, and efforts are made throughout their manufacturing processes to ensure that eco-friendly practices are kept in mind.